The reliability, that is the ability of a product to operate correctly for a given time and under specified operating conditions, is one of the main performance indexes of the means of transportation and of their subsystems, such as the engine. The importance of such index has greatly increased over the last few years, because of the increasingly widespread globalization of the market for transport. Regarding the propulsion system, we must emphasize that it has become more and more complex, with a growing presence of electronically controlled engines both to meet the growing needs for the reduction of pollutant emissions and the highest energy efficiency of the combustion process, and to improve passive and active safety and for a better comfort of use of the vehicle. Inevitably, the more complex a system becomes, the more difficult it is to achieve the reliability targets imposed by the market, especially when such targets must be ensured since the beginning of the production process. As a consequence, the methods able to accurately evaluate and forecast the product reliability become more complex. The Institute promotes, in the field of transport, an integrated research activity answering the growing need for scientific research and technological development which comes from the civil society and national industry: amongst these research activities, we can include the development of specific stochastic models of new generation for modeling the failure process of complex repairable systems, for modeling degradation phenomena (such as wear, corrosion, fatigue, and so on) and analyzing the competing risks processes, for developing innovative maintenance policies (called “condition-based maintenance”) aimed at reducing the maintenance costs of complex systems. 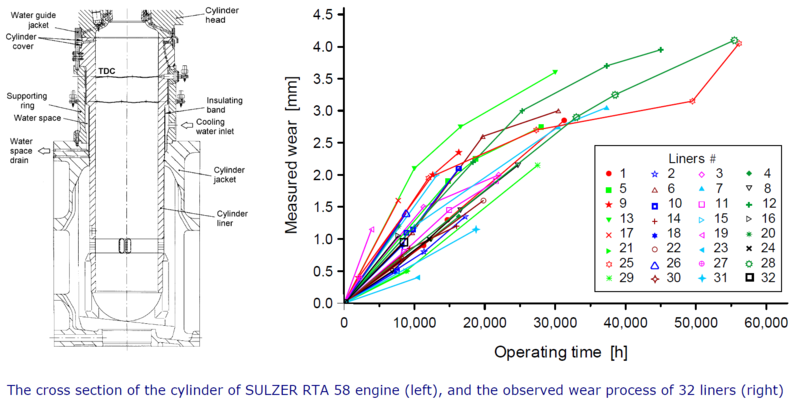 The stochastic models thus developed have been widely applied in the field of transport, for example to study the degradation process of automotive catalytic converters, the reliability of automotive gearboxes, the failure process of bus powertrains, the wear process of cylinder liners of marine engines, the degradation phenomena in solid oxide fuel cells, and so on.